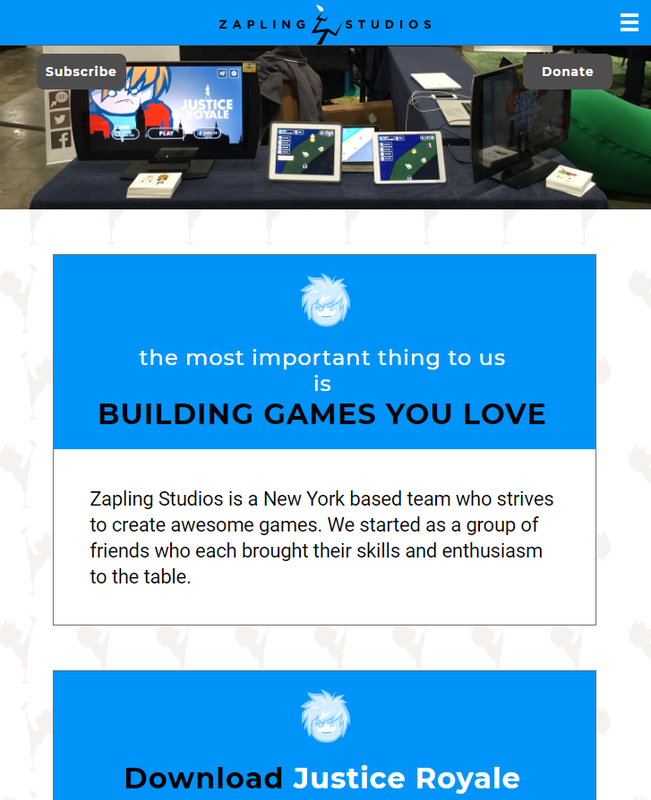 I designed this site for Zapling Studios by first creating a mock based on mobile and desktop layouts. From there I coded the site within the Atom text editor. This took me about 2 weeks from conception to implementation. 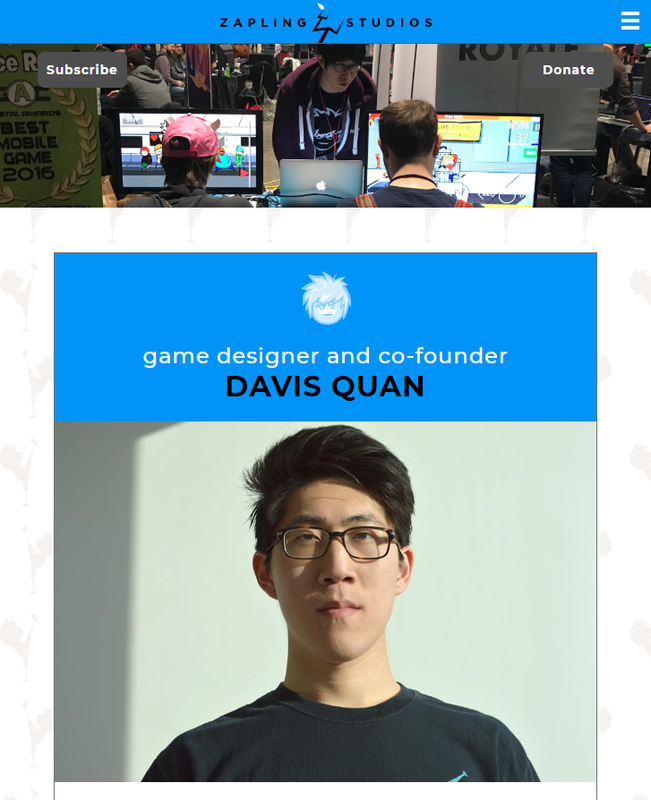 I learned a lot about responsive web design and how to troubleshoot styling issues that appear on an actual device, versus those on a desktop browser. 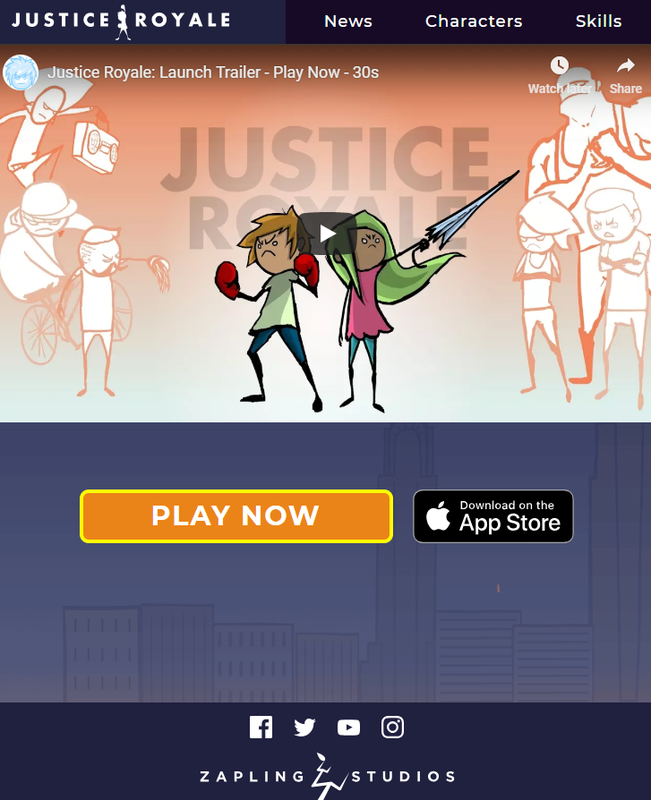 I designed this site for Justice Royale by first creating a mock based on mobile and desktop layouts. This took me about 1 week from conception to implementation. 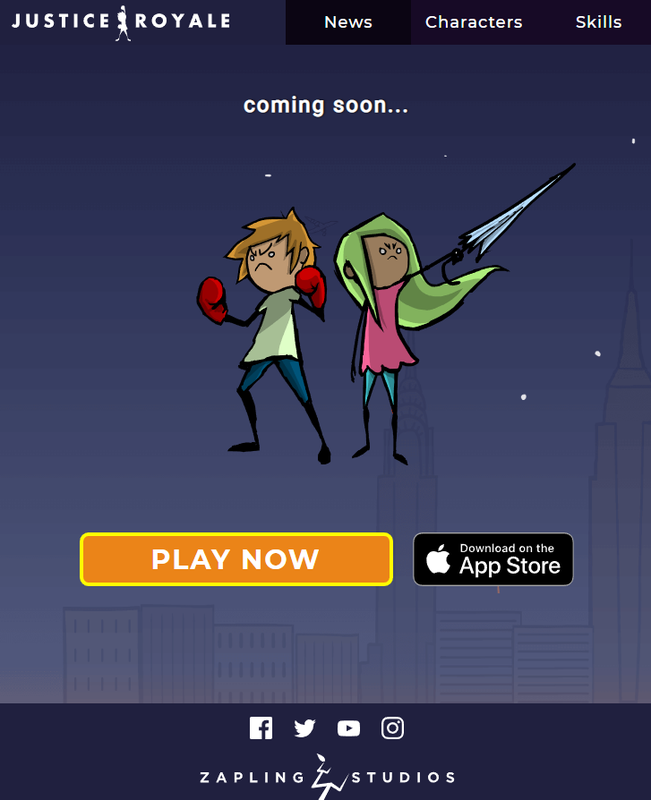 This site is the beginning of something fun, as the goal is to turn it into an online game manual. There will be lots of animation effects, videos and artwork taken from the game itself to create this vision. 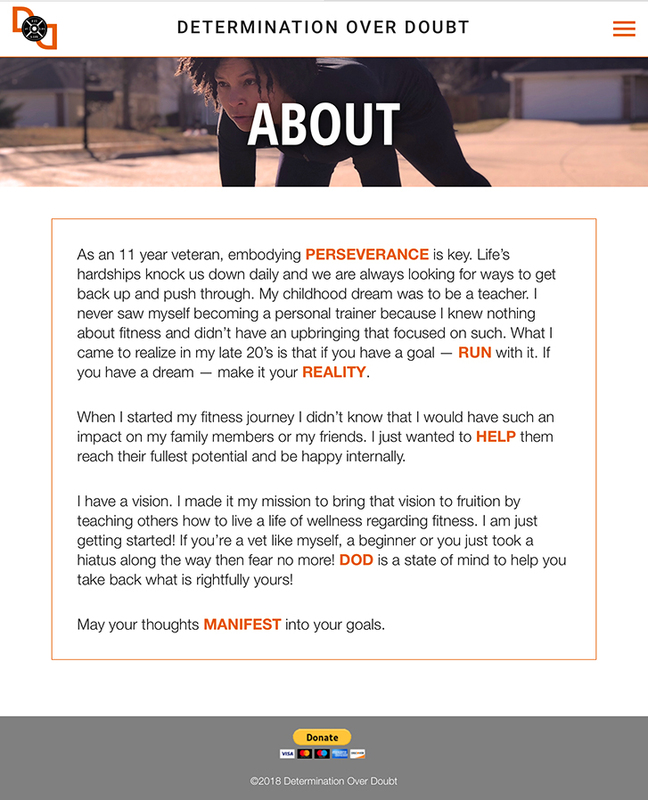 I designed this site for Determination Over Doubt by first creating a mock based on mobile and desktop layouts. This took me about a month from conception to implementation. I worked with my client to bring her vision to life. 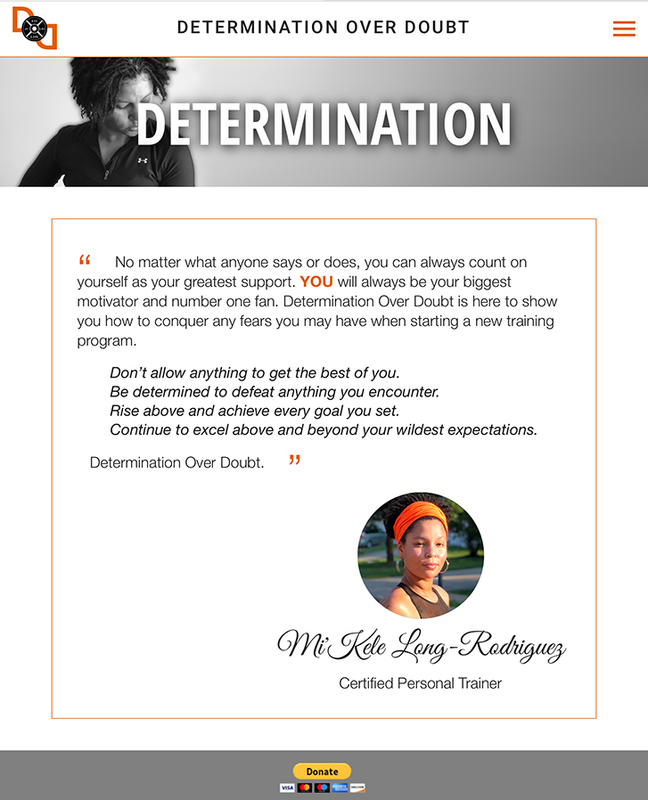 I designed her logo to translate her motto of "Determination Over Doubt" into a visual that would be powerful and representative of the brand. This project gave me some more practice with responsive design and sending form data to a Google Docs spreadsheet. 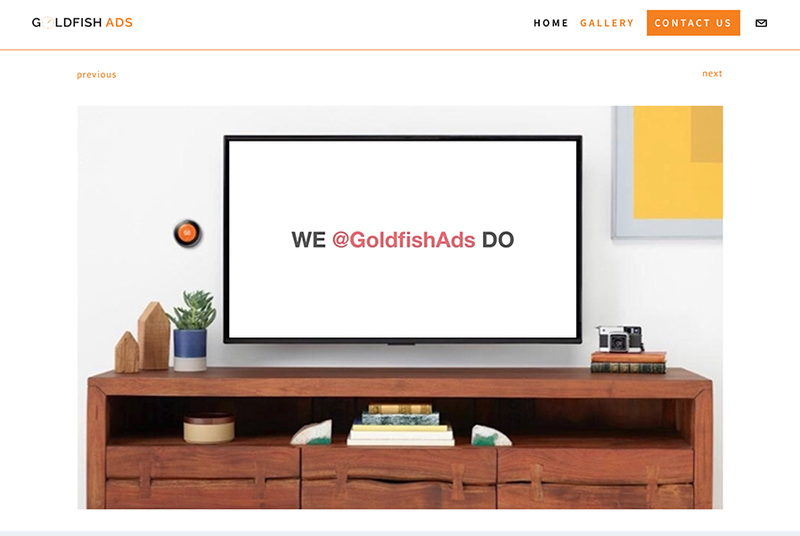 I designed this site for Goldfish Ads based off their previous site an older developer built for them. 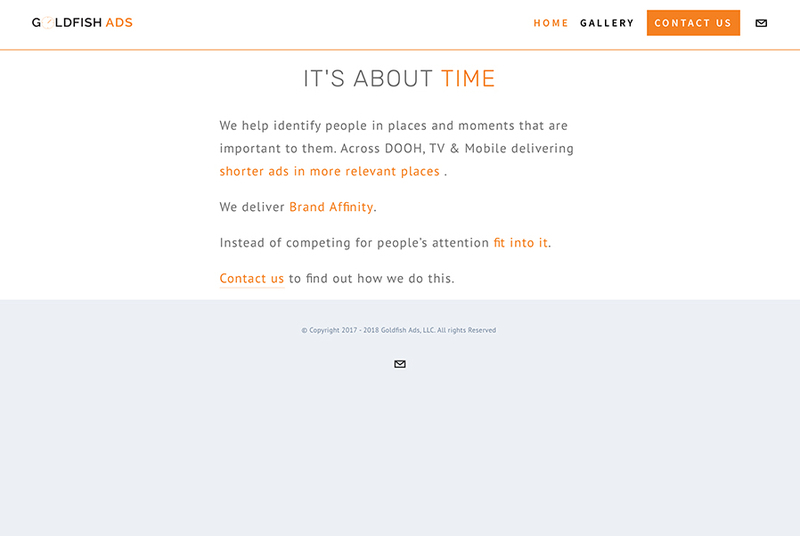 My client wanted the site to be minimal with a focus on the gallery for their ad-tech process. 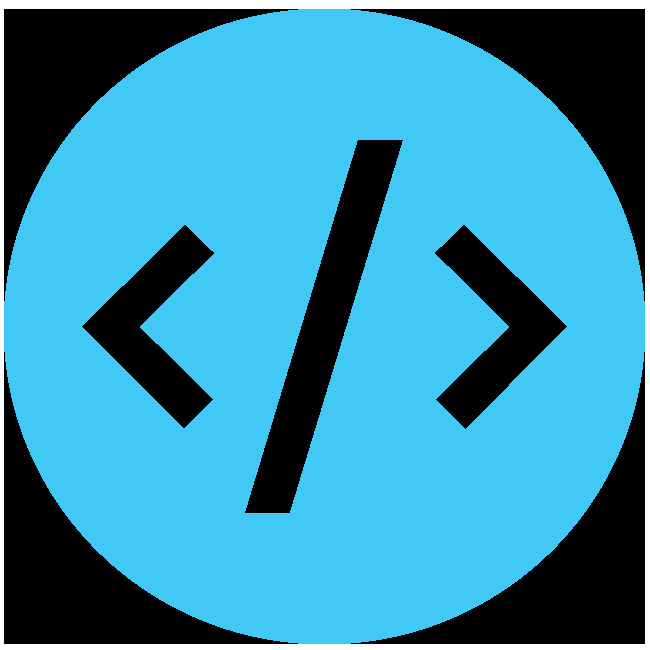 This project let me dive into Squarespace and learn a lot about the power of Code Injection and Custom CSS.